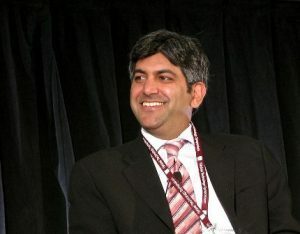 Federal Chief Technology Officer Aneesh Chopra said government’s role for the future of the Internet is to convene and facilitate technological innovation in partnership with the private sector. At a Brookings Institute forum on Internet policy, Chopra made his far-reaching pronouncements in response to a single, loaded question: What is the role of government for the future Internet? Examples are often the easiest way to explain, and Chopra did just that. Last year, he said, at a public forum about healthcare exchanges and electronic health records, a Northern Virginia physician came to him with a problem: a lack of adequate technology prevented him from sending his patient’s electronic health records to her new doctor in Arizona when she moved. But eventually, after getting consent from the patient, the two doctors emailed the file across the Internet, the doctor said, which elicited gasps from the forum audience, Chopra said, for obvious security reasons. The answer was public engagement. “We challenged the private sector to engage,” Chopra said. Eighty organizations working under the banner of The Direct Project worked on developing a project that would allow medical records to be electronically sent, directly and securely. One year later, he said, more than 25,000 lines of code had been written and the first commercial product to do just that was announced. Chopra has been trumpeting the gospel of civic engagement lately. Last week, marking the one-year anniversary of the Open Government Directive, he said 2011 would be the year of civic engagement. And, true to his word, the Office of Management and Budget later that week unveiled ExpertNet, a new engagement platform to target expert audiences to help formulate new policies.